The Michigan Department of Transportation spent millions of dollars upgrading streetlights along I-94. Within days, part of the freeway on the city's east side was dark again after copper thieves snatched wiring from the posts. 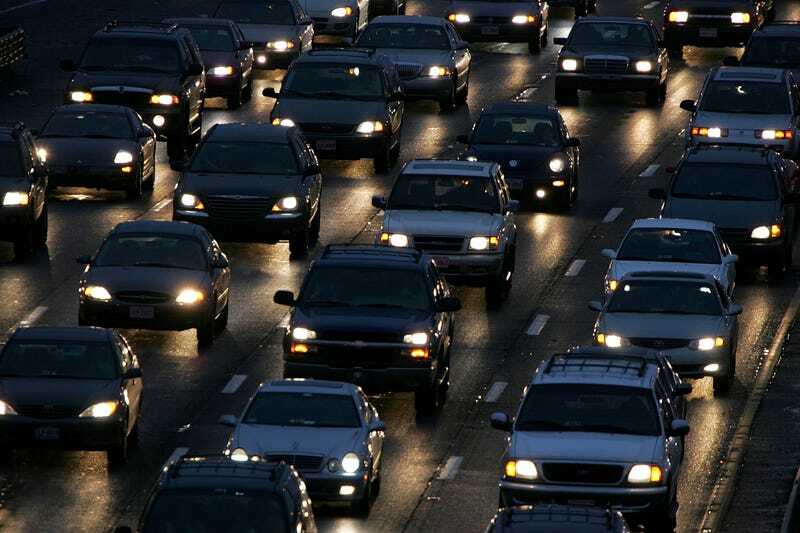 WWJ reports that the state is unsure about how to fix — again - the streetlights, mostly concentrated between 8 Mile Road (that one) and Conner Avenue near the SRT Viper plant. "Some of the inventive ways — and I don't say that with any kind of positive, supportive term toward their creativity — but some of them are dressing up as utility workers," a spokewoman says. "They may have a vehicle that looks like an electrical van and even have safety vests on and maybe hard hats and be working near an electrical pole. Somebody thinks it's a real crew, but as it turns out, they're thieves that have found a way to break into our lighting system." "You have to remember, we have to have some form of access that we can get to the lights to be able to maintain them and take care of them. We're testing some anti-theft deterrent things such as heavier concrete pieces that will fill these holes in the ground that is the access for the lighting," she said. "It is a very expensive thing to put these theft-deterrents in there." The state's transportation department is hoping that proposed legislation cracking down on scrappers works in their favor, but in the meantime, parts of the freeway are still dark. I'm not an expert on transportation lighting, but are LEDs an option? Someone who knows more about this than I do should weigh in down below.